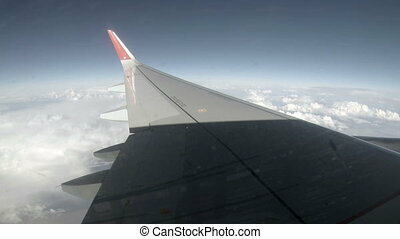 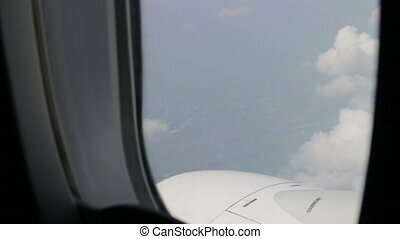 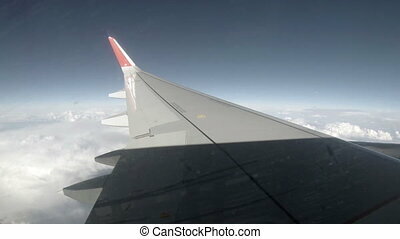 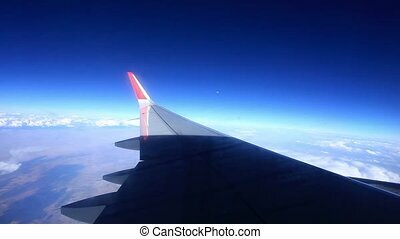 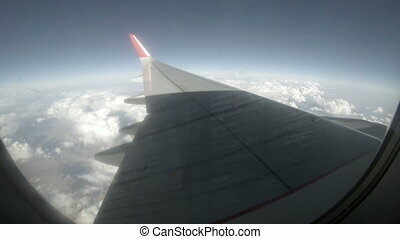 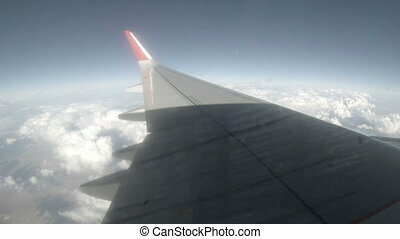 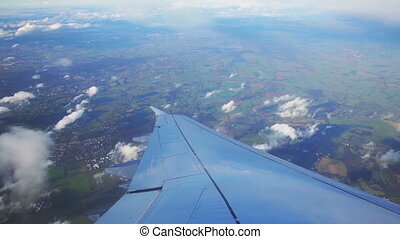 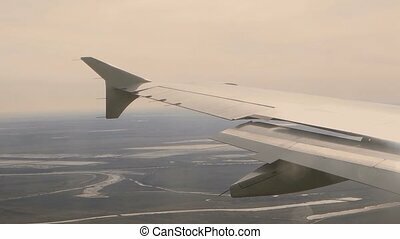 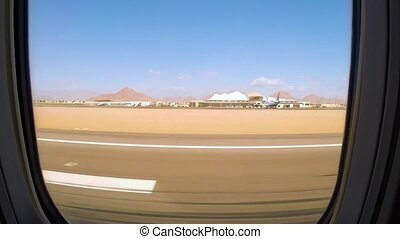 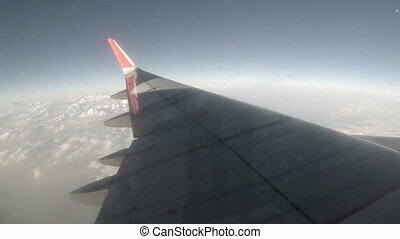 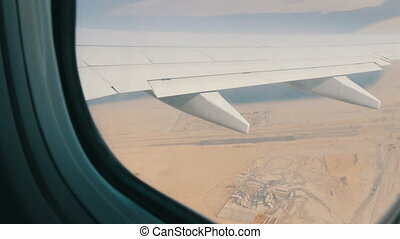 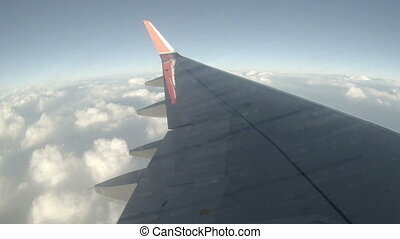 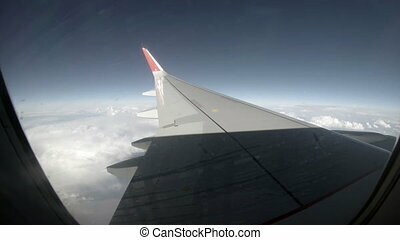 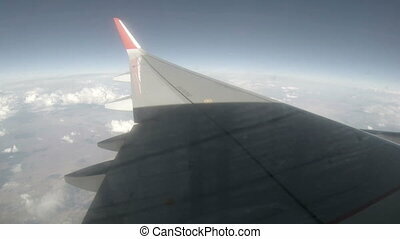 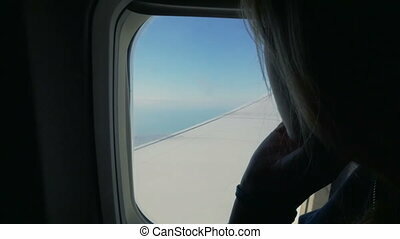 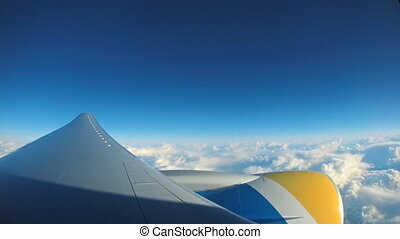 Airplane wing out of window on blue sky background, full hd. 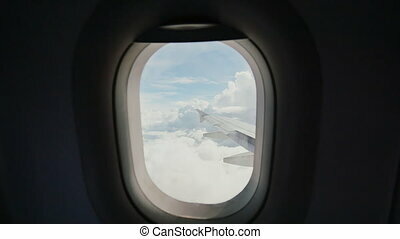 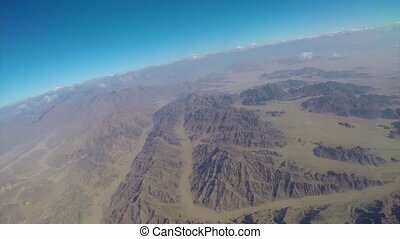 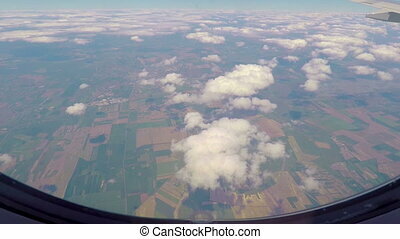 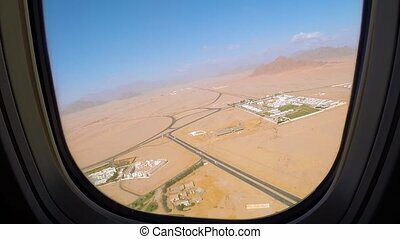 View out an airplane window. 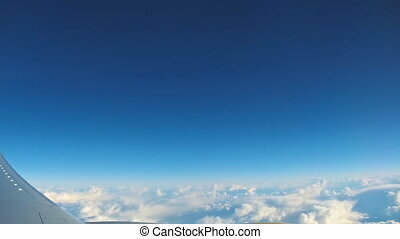 Airplane flies between of clouds. 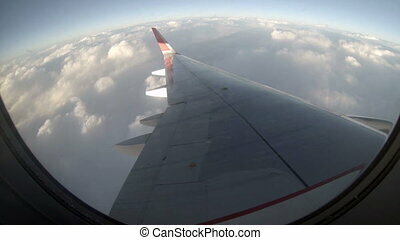 Ground under wing of an airplane change to sky, view from porthole. 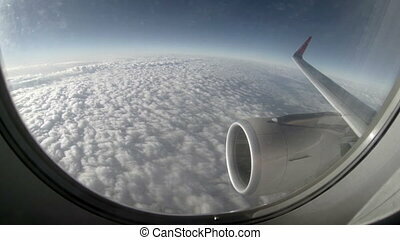 View out an airplane window. 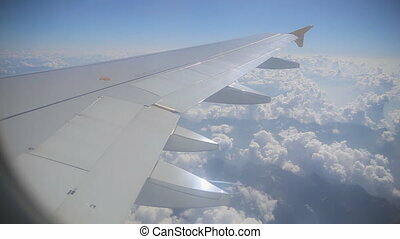 Airplane flies between of clouds. 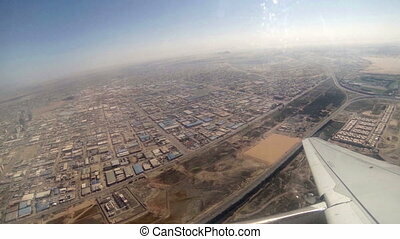 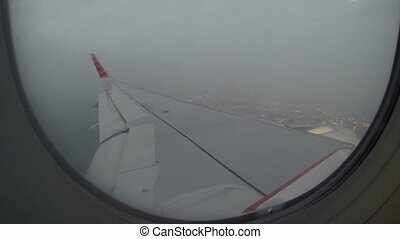 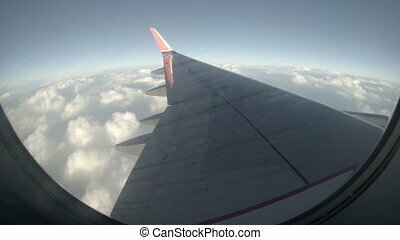 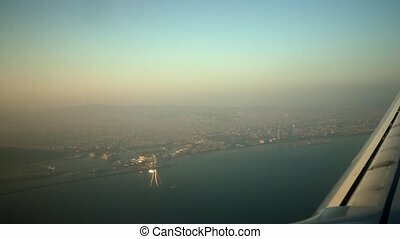 Aircraft fly up, ground under wing of an airplane change to sky, view from porthole.